If you cross this large region from North to South, you will pass through ever-changing panoramas of forest, seaside, valleys and high mountains: a true summary of what this moderate climate with an oceanic disposition has to offer. Made up of five departments (Dordogne, Lot et Garonne, Gironde, Landes and Pyrénées-Atlantiques), the Aquitaine region has five completely different sides to show off. 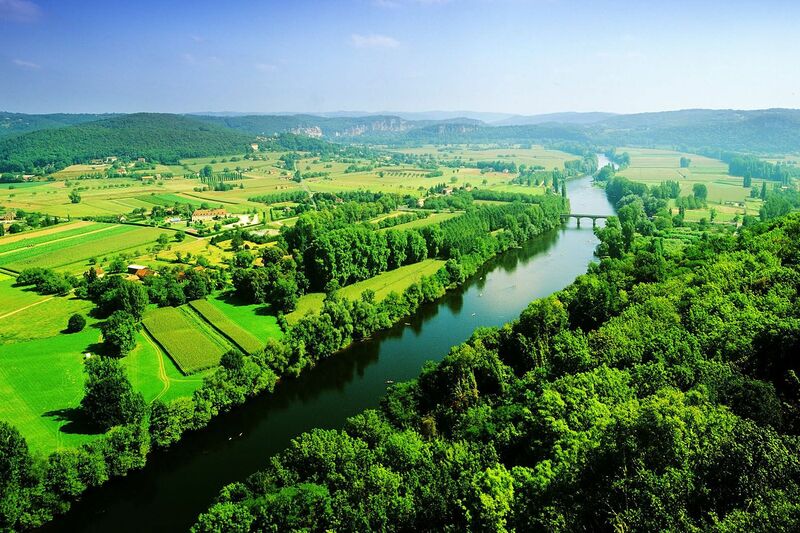 Starting with the north, there is Dordogne and Lot et Garonne, a land inhabited since the prehistoric period. Between forests and green valleys fed by the Garonne, the Dordogne and numerous other rivers, these two departments are like an open-air museum which still preserves man's imprint from the beginning of time. They boast caves and prehistoric sites but also bastions, castles and religious buildings, filling the first pages of the history of France. Not only benefiting from ever-present nature, these two departments are also brimming with delicious local products that represent the French cultural tradition at its best, like foie gras, duck confit, truffles and porcini mushrooms. Further east we come across the department of Gironde. If the first two departments are home to good food, then here we are in the land of drink, with the great wines of Bordeaux which are known and recognised worldwide. Obviously, on this land the vineyards comprise most of the landscape, but in Arcachon and Bordeaux, visitors are treated to the view of the vast ocean on the horizon. As much as the natural heritage of this region cannot be ignored, the architecture of the magnificent 17th century residences here bear witness to extremely refined human skill. Moving south and towards the Pyrenees Mountains, next we come across the department of Landes. The scenery here is divided between the long beaches and coastal towns, which live to the rhythm of the tides and the surfers (Biscarosse, Hossegor, Mimizan), and the largest forests in Europe, the 'Landes des Gascogne'. As you get closer to Basque Country, the culture of the people becomes increasingly stronger. History and traditions are the pride of the locals, who carry on the heritage of their ancestors during the popular fairs with the 'courses Landaises' (an ancient form of bullfighting) and shepherds on stilts. Completely in the South, with the Pyrenees mountain chain forming the border with Spain, is the department of the Pyrenees Atlantiques. One can easily say that the inhabitants of these regions are made from the same earth as the land on which they were born. Here the strength of the ocean meets the ruggedness of the mountains. Between huge forests (the forest of Iraty), mountains (the Pyrenees), and ocean shores, everything is there to form the character and the accent of an entire population. The Basque Country has a strong history with the ocean, in cities like Biarritz, Anglet and Hendaye, which benefitted the area greatly during the times of the 16th and 17th century privateers. Meanwhile, Béarn and its mountains lie in the middle of the Pyrenees National Park and have strong ties to the land. There is never a bad time for tourism in Aquitaine. Benefiting from pleasant temperatures all year round, this region can be discovered just as well in winter as in summer. Of course, in winter skiers will head to the slopes in the Pyrenees, where the atmosphere is rather welcoming. Just 3h from Bordeaux and Pau, the villages of La Pierre Saint Martin and Gourette have between 20 and 25 slopes and several cross-country trails at the heart of a magnificent panorama at 2,450m of altitude. The Nordic areas of Iraty, Issarbe and Somport in the Pyrenees National Park hold the ideal resorts for snowshoeing, hiking and dogsledding. In spring and autumn, nature reigns supreme in Aquitaine. Why not take advantage of these two seasons to explore the Landes forest and the hilly landscapes of the Basque Country? Obviously, autumn is also synonymous with the grape harvest. It is thus the ideal time to set out and explore the various wine trails. There are three wine routes that offer the opportunity to discover Aquitaine: in Dordogne, Bergerac is the starting point of 4 itineraries; in Béarn, the wine route of Jurançon extends for dozens of miles; and finally, if you can only choose one, the circuit from Bordeaux via Margaux, Saint-Estèphe and Pauillac is the most reputable one. The end of autumn might also be the ideal time to enjoy the benefits of the treatments available at France's largest spa, Dax, or to peacefully discover the imperial city of Biarritz. You can only imagine, of course, the crowds of tourists who come to enjoy the beaches here in summer, be it at the seaside resort of Arcachon; in Saint-Jean-de-luz, a former city of pirates; in Biarritz; or on the beaches in the department of Landes. The festivals of Bayonne (that take place for 5 days starting on the first Wednesday of August) and the Dax Fair (which takes place the second week of August) also attract a growing number of visitors to a very festive ambiance every year. 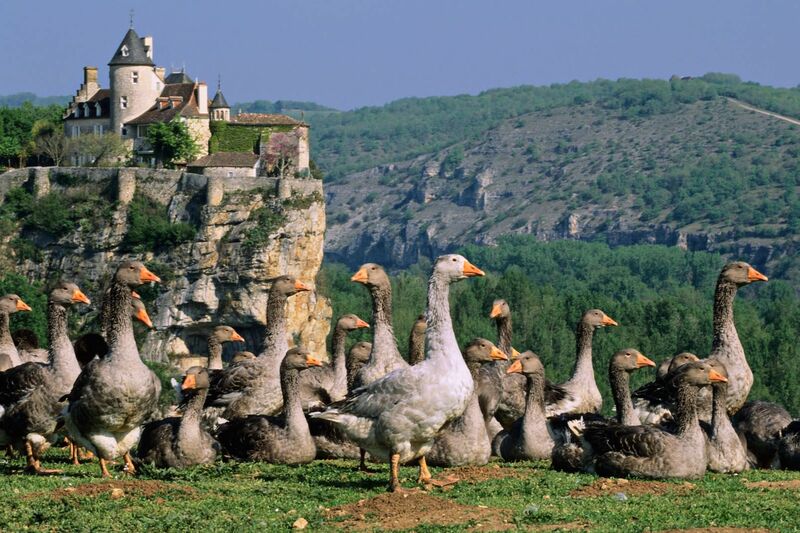 For a more peaceful holiday during these periods, we recommend Dordogne and Lot-et-Garonne. Find weekly weather forecasts for Aquitaine . Different criteria make it possible to predict with precision the best time of year to go to Aquitaine . A comprehensive weather score, made up of temperature indicators, bad weather predictions, sunshine levels and wind speeds, will allow you to choose the activities best suited to the weather conditions and therefore make the most of your holiday in Aquitaine . Our journalists' reviews for you 3 hotels France . Take a look at our hotels, their facilities or their value-for-money score according to your departure dates so that we can find the best offer to suit you France . Book a hotel France it's never been so simple !